Battle of Mogadishu (Black Hawk Down): Bill Clinton was the 42nd American President who served in office from January 20, 1993 to January 20, 2001. One of the important events during his presidency was the 1993 Battle of Mogadishu, the true story of Black Hawk Down. Summary and definition: The true story of Black Hawk Down reflects the events in Somalia, East Africa which led to the Battle of Mogadishu (3 - 4 October, 1993). In 1993 Somalia was ravaged by famine and drought and the situation was made worse as warlords fought to gain power in the country. The United States Army assisted the United Nations (UN) in providing humanitarian relief to Somalia but the peacekeeping mission changed to that also include peace enforcement. General Muhammed Farah Aidid and his military forces were targeted which led to a US mission by Task Force Ranger to capture Aidid forces in Mogadishu. The mission went horribly wrong and resulted in the highly publicized deaths of 18 US soldiers. The ensuing Battle of Mogadishu became the subject of the 2001 movie "Black Hawk Down." The following fact sheet contains interesting facts and information on Battle of Mogadishu (Black Hawk Down). The famous 2001 Black Hawk Down movie, directed by Ridley Scott and starring Ewan McGregor, Eric Bana, Orlando Bloom and Josh Hartnett, was based on the true story of the 1993 Battle of Mogadishu that was fought in Somalia in East Africa. In 1992 / 1993 the East African country of Somalia was ravaged by drought, famine and Civil War. Innocent people were starving as Somalian warlords, controlling different factions and private armies, stockpiled food in order to gain power and leverage over the people. On April 24, 1992 the United Nations (UN) reacted to the plight of the people of Somalia and authorized humanitarian relief operations in the country, establishing the United Nations Operations in Somalia, commonly known as UNOSOM. On August 15, 1992 President George H. Bush ordered the United States Army to assist the United Nations (UN) to provide humanitarian relief to Somalia in a joint operation known as Operation Provide Relief. Operation Provide Relief involved airlifting food from Kenya to airfields in the interior of Somalia for distribution to the starving people. The strategy allowed the combined US and UN relief forces to provide food, avoiding congested ports and cities and the risk of losing supplies from easily looted ground-based convoys. Operation Provide Relief was relatively successful, food was distributed and the effects of the famine were improved. However, the efforts of the joint forces were significantly hampered by rival military factions who terrorized the population as they continued to steal and stockpile the much needed supplies. The main threat to the disruption of food supplied came from two warring Somali factions. General Muhammed Farah Aidid, the leader of the Habr Gidr subclan and Ali Mahdi Mohamed the leader of the Abgal subclan in Mogadishu. the capital of Somalia and the President of Somalia. On 8 December 1992 a new initiative called Operation Restore Hope was launched to send a large neutral force to ensure the flow of supplies and food reached the people. The goal was a peaceful mission and the joint US - UN forces were not authorized to disarm or attack either of the Somali factions. A ceasefire was negotiated between Ali Mahdi and General Aideed and the port and the airport at Mogadishu reopened allowing relief supplies to be shipped ashore. Although the international military presence in Mogadishu brought aid to Somalia, local people began to show signs of resentment towards the foreigners. Despite some setbacks Operation Restore Hope succeeded in bringing an end to mass starvation in Somalia and the bulk of the peacekeepers were withdrawn. The remaining heavily armed US - UN military units established security in their sectors, but the uneasy truce between the factions posed a constant threat. The Armed factions led by General Aidid and Ali Mahdi Mohamed clashed as each sought to exert authority over Mogadishu, the capital of Somalia. General Aidid challenged the presence of US-led United Nations troops in Somalia and proclaimed himself president of the country. On 5 June 1993, one of the deadliest attacks on United Nation (UN) forces in Somalia occurred when 24 Pakistani soldiers were ambushed and killed in an area of Mogadishu that was controlled by General Aidid. The UN quickly responded to the attack and the U.N.'s Security Council issued Resolution 837 on 6 June 1993, calling for the arrest and trial of those responsible for the ambush. General Aidid declared war on the remaining UN personnel and the violence escalated. On 17 June, 1993 US Admiral Jonathan Howe, the Special Representative for Somalia to the United Nations, issued a warrant for Aidid's arrest and authorized a $25,000 reward for his capture. UNISOM made ground assaults on air raids on his strongholds, but General Aidid had gone into hiding. Four US soldiers were killed by a car bomb planted by Aidid's militia on August 8, 1993 and seven US troops were killed less than two weeks later in another similar attack. On 22 August 1993 President Bill Clinton authorized Les Aspin, the new US Secretary of Defense, to direct the deployment of a joint special operations task force to Somalia in response to attacks made by Aidid supporters upon American and UNOSOM forces and installations. The name of the military task force was Operation Gothic Serpent. The primary mission of Operation Gothic Serpent by Task Force Ranger, consisting of B Company, 3rd Battalion, 75th Ranger Regiment in Somalia was to capture General Aidid. The Task Force Ranger unit consisted of 160 elite U.S. troops and their mission would become known as the infamous Battle of Mogadishu. During September Task Force Ranger was based in an old hangar in Mogadishu and conducted several successful missions capturing a number of important supporters of General Aidid. Their aircraft also made frequent flights over the city of Mogadishu to familiarize themselves with the narrow streets and alleys of the city. On 25 September, 1993 a serious incident occurred in Mogadishu when a Black Hawk helicopter was shot down by Aidid's militia killing three crew members. The Black Hawk helicopter was not part of the Task Force Ranger mission but its destruction was a huge psychological victory to the forces of General Aidid. On October 3, 1993, having received reports two leaders of Aidid's forces were residing in the "Black Sea" neighborhood in Mogadishu, Task Force Ranger sent 19 aircraft, 12 vehicles and 160 men to capture and arrest the men. The assault mission began at 15:42 pm. The target house was hit and four Task Force Rangers 'fast-rope' into the premises. Fast-roping is a dangerous technique for deploying troops from a helicopter who descend using a thick rope. One Army Ranger, Private First Class Todd Blackburn, misses the rope as the 'Super 61' Black Hawk helicopter comes under enemy attack, and falls 70 feet to the Mogadishu street, seriously injured. Large crowds converge on the area of the assault including groups of armed Somalians. At 15:58pm one of the TF's vehicles, a five-ton truck, is hit and disabled by a rocket propelled grenade, resulting in injuries to twenty-seven American soldiers. By 16.00pm the two leaders of Aidid's forces are captured, together with over 200 other Somalian militia who are moved to the convoy of US trucks. At 16.20pm the first US helicopter is taken down. The 'Super 61' Black Hawk helicopter is hit by an RPG (Rocket Propelled Grenade) and crashes five blocks away the target building. Pilot Cliff "Elvis" Wolcott and his copilot, Donovan Briley, survived the crash but were wedged in the wrecked cockpit and half buried by the wreckage. Delta Force sniper and light weapons infantry specialist SSG Daniel Busch survived the crash but was killed defending the downed crew. Corporal Jamie Smith also survived the crash, but bled to death as he defended the crash site. The 'Super 64' Black Hawk helicopter, piloted by Michael Durant, takes the place of 'Super 61' Black Hawk helicopter and begins to circle over the city. His crew consisted of his co-pilot Chief Warrant Officer Ray Frank, Sgt. Bill Cleveland, and Sgt. Tommy Field. A Humvee (High Mobility Multipurpose Wheeled Vehicle) convoy begins to move towards the crash site, gets lost in the narrow city streets of Mogadishu and is inflicted with heavy casualties as it is attacked by Somalian snipers and armed militia. At 16.40pm the second US helicopter is taken down. The 'Super 64' Black Hawk helicopter is hit by another Somali RPG, and crashes about a mile from the target building and soon surrounded by hostile Somalians. Two Delta Force snipers, Sergeant First Class Randy Shughart and Master Sergeant Gary Gordon, are dropped by helicopter to help protect the injured pilot Michael Durant and his crew. Randy Shugart and Gary Gordon run out of ammunition and are killed when the Somalis overrun the crash site. Their dead bodies were seized by the Somalis, beaten and dragged through the streets of Mogadishu. The crew of the second Black Hawk down Bill Cleveland, Ray Frank and Sgt. Tommy Field all died in the crash. The half naked body of U.S. Staff Sgt. William David Cleveland was dragged through the streets of Mogadishu and captured on camera as cheering Somalis looked on. The bodies of the other dead US soldiers were also subjected to similar atrocities. The pilot, Mike Durant was captured, his right leg broken and with a bullet wound in his shoulder was held by the Somali militia for 11 days. At 17.00 a Quick Reaction Force convoy was dispatched in an attempt to rescue the men stranded at Michael Durant's crash site but encounters immediate obstacles and is forced to return to base. Ninety-nine men remain trapped and surrounded in Mogadishu around the first downed Black Hawk. 'Super 66' Black Hawk helicopter is badly damaged when it drops ammunition, water, and medical supplies to the trapped force. At 21:00pm the Joint Task Force Command requested assistance from other commands and a two-pronged Rescue Convoy was formed. By 2.00am on 4 October, 1993 the first half of the rescue convoy reached the first Black Hawk down containing the trapped Pilot Cliff "Elvis" Wolcott and his co-pilot Donovan Briley. The second half of the convoy reached the site of Mike Durant's downed Black Hawk only to find that Durant and his crew missing. At 06.30am the Rescue Convoy returned to base. 13 Americans were confirmed dead or mortally wounded, 73 men were injured, and 6 were missing in action. Of those missing in action 5 were later confirmed dead and 1 had been taken taken prisoner. The final US death toll at the Battle of Mogadishu was 18. The injured pilot of the second Black Hawk down, Mike Durant, was questioned by Somalis and his interrogation was recorded on video. Mike Durant was in shock and in pain. The video captured the injured and disheveled pilot with a swollen, bloody face and with his dark hair sticking straight up. After the video recording and interrogation process Mike Durant was treated by a doctor. He was released after 11 days in captivity. His minder during this time was Mohammed Aidid's propaganda minister, Abdullahi "Firimbi" Hassan. On October 4, 1993 Americans awoke to the shocking images of Mike Durant and the violent scenes of the Battle of Mogadishu on their TV and in newspapers. President Clinton immediately sent Ambassador Robert B. Oakley and Marine Gen. Anthony Zinni to Somalia to negotiate the release of Mike Durant. He was eventually released after 11 days in captivity in exchange for Somalis who had been captured in the Battle of Mogadishu. The sight of the bound and battered corpse of American soldier Bill Cleveland being dragged through the streets of Mogadishu and the videotape of a captured US pilot was a turning point for the US intervention in Somalia. 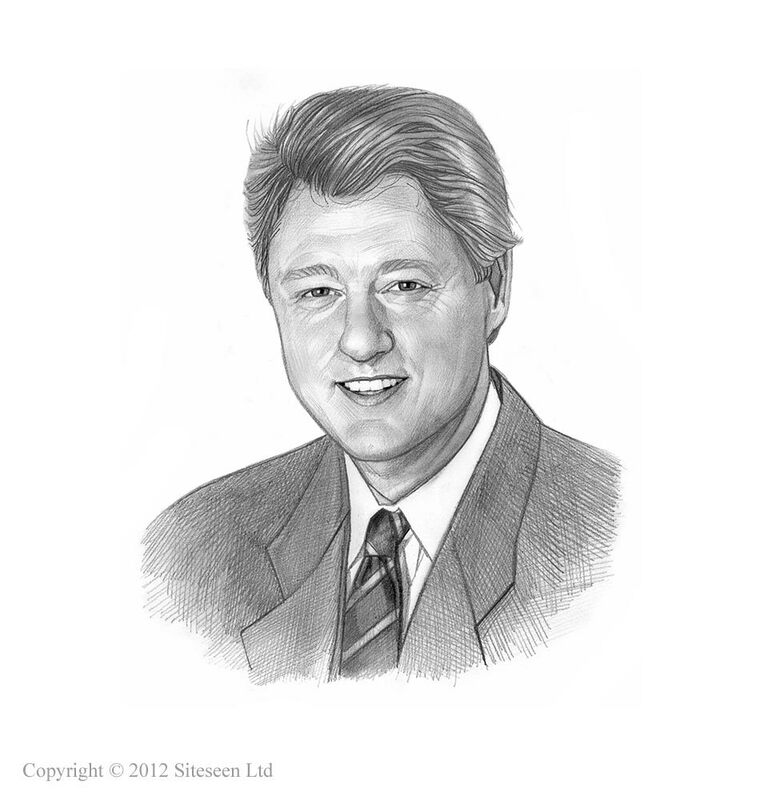 President Bill Clinton ordered that additional troops be added to protect U.S. soldiers and aid in withdrawal setting a deadline date of 31 March 1994.